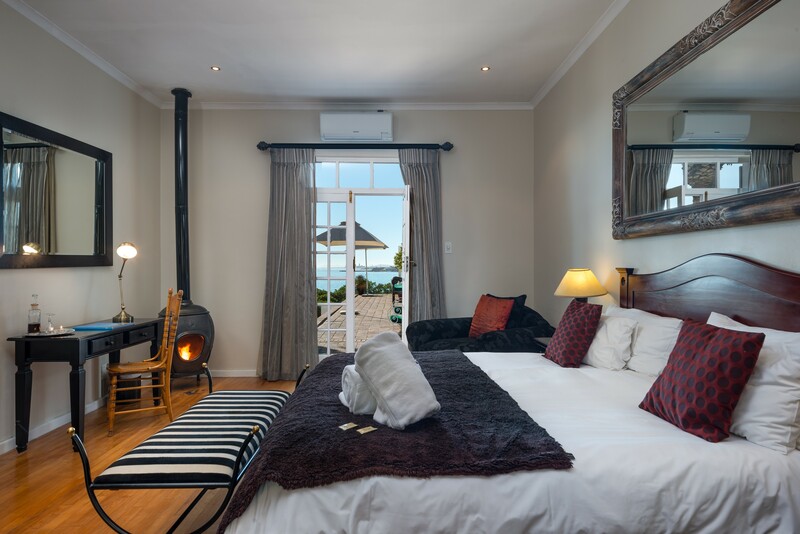 We have 12 spacious and uniquely decorated bedrooms with en suite shower/or bath to choose from. All rooms have modern conveniences i.e. free wi-fi internet, safes, computer links, hairdryers, mini-bars, TV with M-Net and Satellite TV, air-conditioning and some with fire-places. 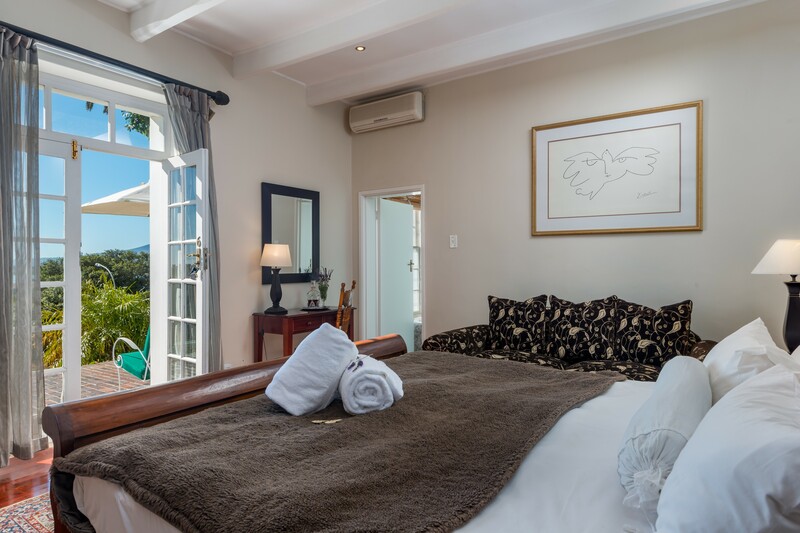 Extra luxuries include toiletries, pure cotton linen, gowns, pool towels and laundry services. 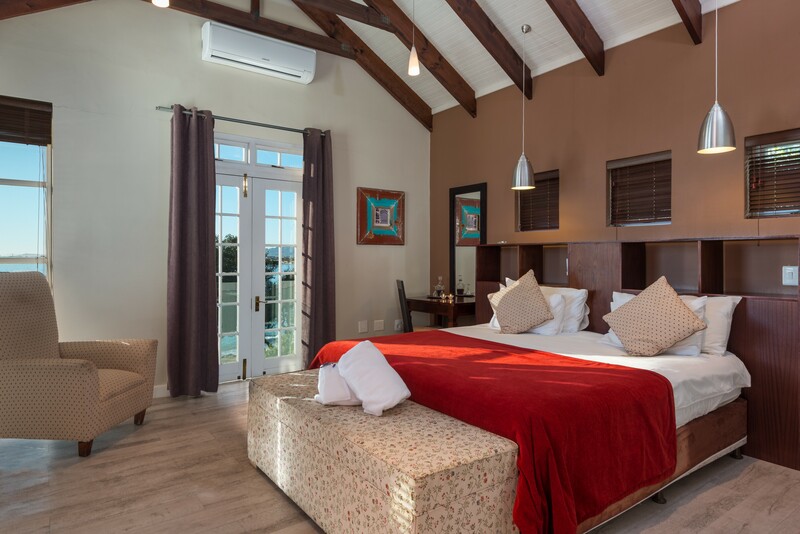 Four of the rooms are equipped for self- catering. We have secure off-street parking for guests and functions. Manor on the Bay is the ideal venue for your small exclusive wedding. 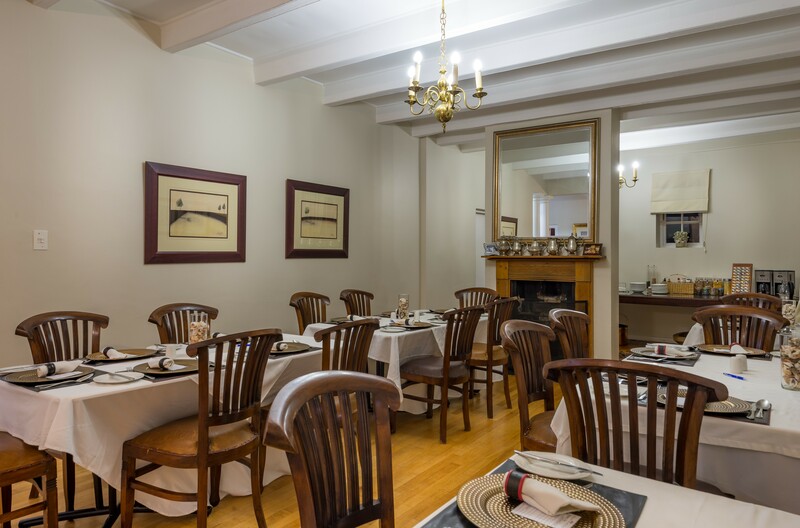 We cater for groups of up to 20 people for a sit-down meal. The landscaped garden and nearby beach make this venue the ideal setting for a memorable day and beautiful pictures. 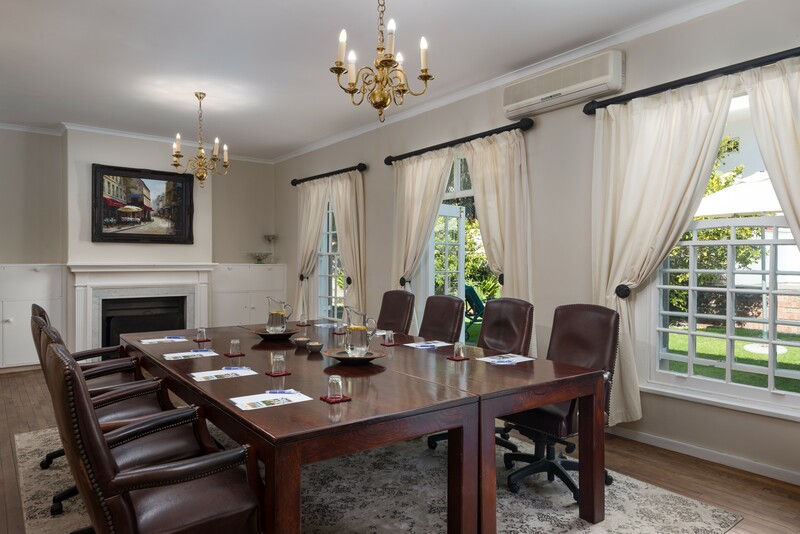 Situated at the foot of the Steenbras Mountain and overlooking the blue waters of False Bay, Manor on the Bay offers a tranquil, yet professional conference venue for up to 20 delegates. The environment is given to be inspiring, creative and productive. 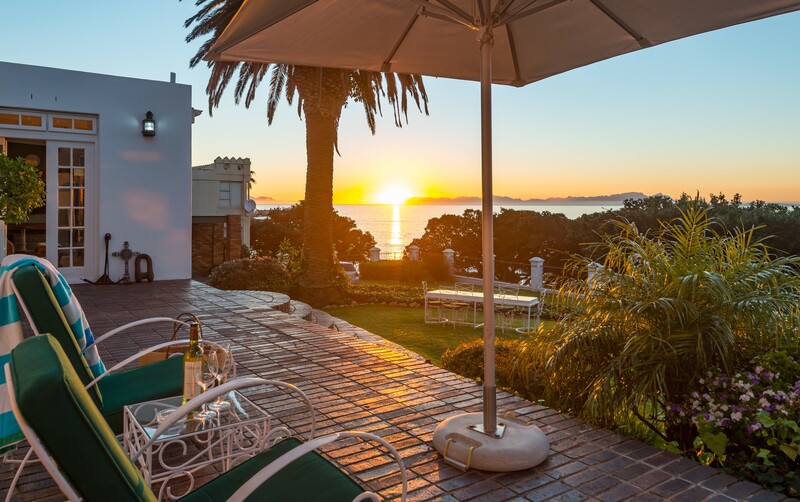 A mere 40 minutes drive from Cape Town, Manor on the Bay offers clients from the Mother City an inspiring and refreshing day away from the city in return. 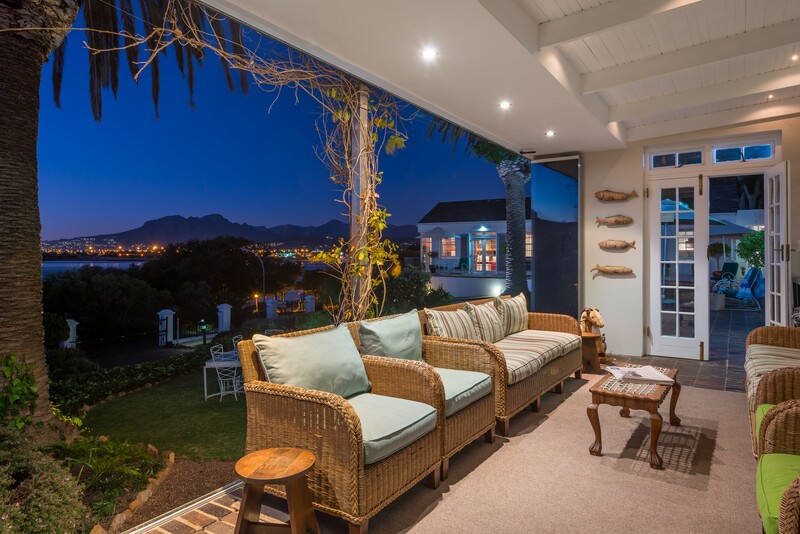 Manor on the Bay's central location provides an excellent base from where truly unique Western Cape attractions can be experienced. The beachfront is lined with restaurants, coffee shops, pubs, bookstores and curio shops, all within walking distance. Shark-cage diving, fishing trips, scuba-diving, picnic-baskets and sunset cruises are arranged by us. Quality restaurants are within walking distance and golf-courses, hiking-trails, shopping malls and more safe-swimming beaches are easily accessible. 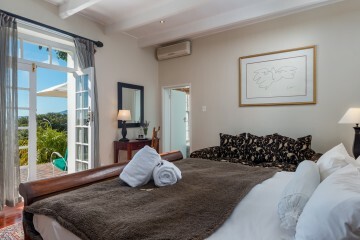 Only 40 minutes away from the Cape Town International Airport and 50 minutes from the Waterfront and Stellenbosch & Wine Route around the corner from us makes Manor on the Bay the ideal location for a splendid holiday where you can put your feet up at night and enjoy our famous sunsets over False Bay.